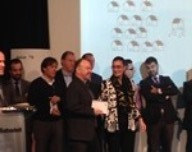 La Vida Spain was awarded best international agent by Spanish banking group Banco Sabadell this month. La Vida Spain is one of the largest sellers of bank properties to the international market and is able to package portfolios of property for international investors seeking the golden visa in Spain. The investor visa rules allow multiple properties within the €500,000 limit and bank owned real estate offers the most distressed and discounted prices in Spain. Investors buying for residency and eventual citizenship can benefit from capital gains by buying now and holding for 5 or 10 years eventually selling when permanent residency or citizenship is obtained in Spain. Many of the properties we offer from the banks are discounted by 50% or more from their prices back in 2007.